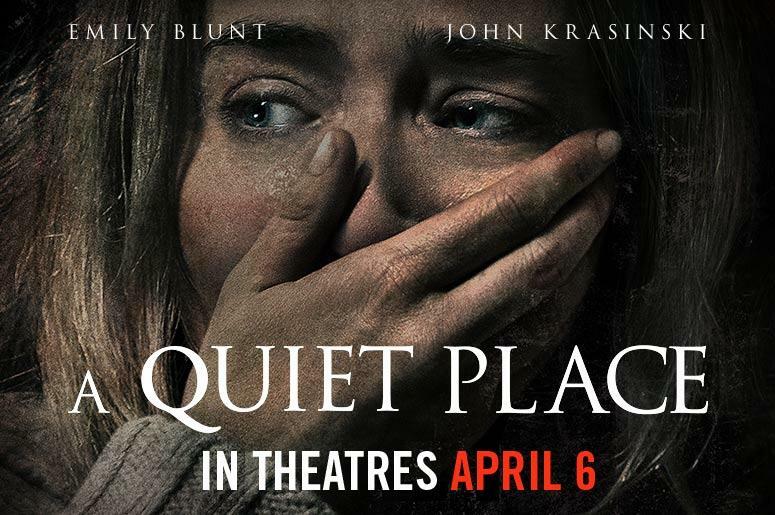 A Quiet Place | You gotta get a critic. Spring can be a drab time to go to the movies, but some well-made genre movies and smaller gems find a way to stand out. While Black Panther crushes it on the superhero front, John Krasinski’s A Quiet Place has become a surprise box-office hit. Even with the presence of two married stars, this horror movie feels like an indie, with a script that’s smart in its simplicity and an unbearable tension that persists all the way to the end. Watching the trailer, I had questions about the conceit. How did they silently drag sandbags around to coat the pathways they walk on? What if someone gets the hiccups? Are all the pets gone? (Probably.) The movie mostly sidesteps all of this, suggesting that softer sounds are less dangerous. Earth is inhabited by flesh-eating creatures with exceptional auditory senses, but they pick up noises that break through the natural soundscape. A scream will send them running. Sound is key to many modern horror movies; we’ve been raised on jumps and peekaboo frights. Krasinski, proving his directorial chops, has many of those in store, but the rest of the soundtrack is even more eerie. The movie isn’t completely silent: we hear the rustle of the wind outside, the rushing water at the river. Any sound our main family makes–a whisper, a creaky floorboard–feels so present, it’s unsettling. Though the score by Marco Beltrami is suitable, imagine what this movie would be like with no music at all. As the story begins, we realize most of earth’s population has been wiped out by this new species. Krasinski, Emily Blunt, and their children live off the grid, surviving one day at a time by tracking the local creatures’ movements and, above all, trying to remain silent. Of course, the complication (minor spoilers) is that Blunt’s mother is pregnant, giving childbirth horror movies like Rosemary’s Baby and the recent mother! a run for their money. The monsters themselves feel inspired by H.R. Giger’s terrifying designs for Alien–and there are several shots where a creature approaches a trembling Blunt, in a direct callback to Ridley Scott’s classic. The script (Bryan Woods, Scott Beck, and Krasinski) stays laser-focused on this family’s fight for survival, wisely hinting at global chaos without leaving the immediate isolation of the farm. Krasinski was smart to cast his wife; Blunt, with her action movie history, has nerves of steel. You know she’s ready to fight back. Deaf actress Millicent Simmonds, in her second screen performance after 2017’s Wonderstruck, is a great find, making the most of her teenager’s rebellious spirit and unresolved trauma. Beyond its visible (and audible) terrors, A Quiet Place is a parable for the trials of parenthood. The promise of new life is soured by the threat of being on this earth. These parents, like many, are just trying to protect their children from a world they can’t control.